Use Low.js with far lower system requirements. low.js starts up instantly, while Node.js does not (0.6 to 1.5 seconds wait time on Raspberry Pi 2). low.js only uses a fraction of the disk space and memory which Node.js requires, leaving more resources for other processes. Programs written for the Arduino microcontroller board platform are called Sketches and are written in simplified C/C++ language with the Arduino API. Arduino is widely used, so for almost any purpose somebody has already written a library and an example which can be used as a template for a new project. It is hard to let the program do multiple things in parallel, especially as not all APIs calls are non-blocking. While Arduino on ESP32 does have networking/Wifi support, building fully featured servers still need lots of manual work. These two flaws are strengths of low.js. ESP-IDF is the low-level development framework for programming the ESP32 chips, provided by the chip maker Espressif itself. Programming with ESP-IDF requires knowledge of C/C++ and of microcontrollers internals (interrupts, FreeRTOS). For a programmer with this knowledge, it is a very flexible framework to program with, allowing the user to get the most out of the ESP32 chips. In fact, low.js itself is developed on top of a modified version of ESP-IDF. Still, as we were able to confirm in several projects, low.js is far easier and less time consuming to program with than with ESP-IDF, often producing the same results with far less lines of code. The API of Espruino is far less powerful than the API of low.js is, as Espruino does not provide the Node.js API, which would not fit into the smaller microcontrollers. Espruino provides some API calls which mimic Node.js API calls, such as fs.writeFile, however they do not work the same way. fs.writeFile for example is blocking (there does not seem to be any way to write a file asyncronly with Espruino). MicroPython is a port of Python for microcontrollers, just as low.js is a port of Node.js for microcontrollers. With both microcontrollers can be programmed easily. 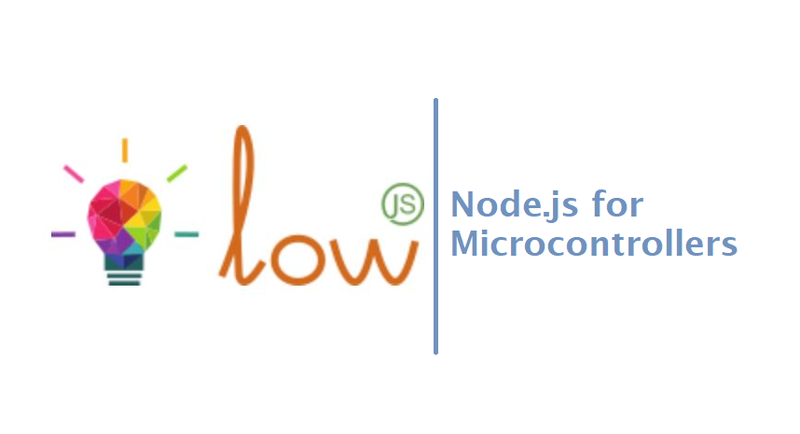 The API of low.js is asynchronous first, making it easy to scale projects. As low.js is in early development, things change fast with the goal of full Node.js compatibility. Because of this, there is no version numbering yet. These are nightly builds compiled directly from the GIT repository. The versions for PCs are provided so developments can be tested on the PC without having to transfer them to the microcontroller first. ESP32-WROVER To flash/install on ESP32-WROVERs, you need to use lowsync, which can be installed via npm. See the examples or documentation for more details.